There are three candidates running for Ward 4 in the upcoming municipal election – Stephen Dolson, Gayla McDonald, and incumbent Fran Sainsbury. As The Times’ ‘Meet the Candidates’ election special continues, we present you with the answers to the questions we’ve posed to the candidates, printed verbatim, in order to help you make an informed decision on October 22, 2018. Primary reason you are running: 23 years experience in Municipal Government; running to continue to serve the residents in Ward 4, to complete the projects of importance to them as well as those on the books throughout the Town; an experienced Councillor knows the Rules that allow us to accomplish many goals faster; I have the time to dedicate to this important role. Campaign Slogan: “In it to WIN it for FOR YOU!” My constituents call me the “Voice of Reason”. What are the most important issues facing the community? 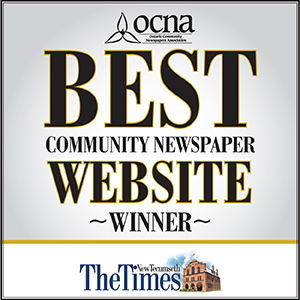 Managing growth; building and maintaining infrastructure and all Town assets; keeping tax increases low; transit; County comprehensive review results; Master Drainage Plan for Beeton and costing the best solutions; the water pipeline to Tottenham; finalizing the Comprehensive Zoning By-law once the Official Plan has been approved by the County and Province, it will protect our Official Plan Vision Document. What do you cherish most about this community? I cherish the friendly, caring residents. Even amid new growth that has been on the books for years and now coming to fruition, we have protected our environment, heritage homes/buildings and our small town way of life. What type of leader will you be? As a Councillor, I will continue to learn, to listen, to respond promptly to concerns, to be fair while watching the tax dollars and adhere to the Town budget. We need to do the projects on time, within budget, properly the first time. What are your priorities for changing our municipality in the short term? I do not like the use of minimum standards. Do a job once and do it right at the subdivision stage, there is no going back to correct mistakes. Check that parking is adequate. What about in the long term? In the long term, issues common to all 16 municipalities should be managed by the County and parochialism should cease as it creates duplication costs. What are the biggest fiscal challenges in our municipality and what do you envision as the best way to address them? Our fiscal challenges, due to growth, will be funding the financing of capital assets and the operating costs required (straight taxation) for much needed infrastructure, as we do not have sufficient reserves in our Development Charges account. Front ending by Developers is required, or we should not move forward increasing our debt, until this is resolved. We still have debt capacity, but if we continue to debenture, we will reach our debt ceiling as established by the Provincial formula. If the housing market takes a downturn, this will create debt problems and taxation increases. We have to pay our legal monetary commitments. Council must promote Economic Development as commercial and industrial uses help lower the residential tax rate increases. What innovative projects would enhance life in this area? An innovative project with perhaps Honda, for an indoor Town pool, details to be discussed, costed, with all appropriate written agreements, as to who owns what, does what, pays what, including costs to users and the entire non-resident catchment area. It has been done throughout Ontario and worked well. Only visionaries can make these projects come together for the good of all. The “naysayers” just slow progress. What is your perspective on the best way to collaborate with other levels of government to ensure a sustainable and prosperous future for our area? Following the Growth Plan, the Official Plan, the Zoning By-laws and having an open mind to the Provincial “Comprehensive Review” at the County will bring us into the 21st century. We cannot stay as we are and lock the gates to New Tecumseth, or we will not be sustainable or prosperous. Everything must grow to be healthy ie. children, pets, plants, trees and Towns. How do you envision communicating with constituents? I am a mature adult and very professional. I communicate well with my constituents (in person, by phone, by email, at group functions, meetings etc.) I have written a Councillor’s Report for 8 years in the Briar Crier to keep constituents informed. I do not like or participate in “negative populism”. Social media/Facebook, etc. is a method of giving people a voice, however, it depends on how it is used or abused by a certain element in society. Town of Residence: Alliston currently but have lived in Tottenham and out on the 2nd Line of New Tecumseth. Primary reason you’re running? I am running to give a voice to those who feel that they overlooked by the town council, which is our seniors, disabled and low-income residents of all ages. I myself fall under two of the aforementioned categories. I have the privilege in many ways of living in an apartment building where I get to see a wide variety of people with different incomes and ages which help me understand the needs of everyone. I feel this town needs to demand our developers to start building low income housing and apartment units in all of New Tecumseth when putting forth their development proposal. This will help ensure those on a fixed income will be able to live a little more comfortably but developments must be done in a responsible matter which fits into the Official Plan. We also must ensure that the sidewalks in this town are properly cleared in the winter so that those using mobility devices and parents with strollers don’t have to fight to get through the snow once the plow has gone by and cover in the ramps to and from the roadway I will also push to have all sidewalk curbs aligned with the roadway without having large bumps which makes it hard for those using mobility devices to get around. I am running to ensure the residents of Green Briar, Briar Hill and West Briar Hill have a strong voice at council, on any and all matters related to their communities. As I do not live in Ward 4 this allows me to have a full voice at council without having to declare a conflict of interest ensuring the residents voices are heard. In regards to transportation, we need to get a bus service up and running here in New Tecumseth. This wouldn’t be an easy task due to the vast area of New Tecumseth but is very doable which would connect riders within a town and transport them to other towns along with Green Briar, Briar Hill and Treetops. I would love to see Bike Lanes installed on some our roadways. Bicycles are becoming more prevalent on our roadways and these people need to have dedicated lanes so that they can remain safe. What are our most important challenges facing the community? The most important issue facing the community is being fiscally responsible to the residents, with that I would ask council to stop the work on the old Alliston Union Building and look at other buildings the town has which would suit the needs of the town and the cost of building a new building if necessary. Second biggest challenge: As mentioned above transportation fixing our roadways getting an efficient bus service up and running and installing bike lanes on Town roads. What do you cherish most about this community? I have always loved the friendliness of the people in this community, the willingness to help others without hesitation. I also love the small town feel where people still say “Hi” to those they don’t know. What type of leader you will be? I will be an all listening, caring, honest and helpful leader, that will talk and try to help anyone even if you’re not in my Ward. What are your priorities for change in our municipality, in the short term. What about in the long term? We must change the way people move about our community would be for the short term and long term. In the short term, I would like to see the transit bus system up and running. Getting more taxi companies involved in our Community Transportation Program for seniors and those residents with special mobility needs as the current system is not working 100%, this would be until a bus service is available. We also need more programs for seniors in our community many seniors have no family around to help them and some being on a low income can’t hire people to do work for them. I would like to see the council put together a program for high school students which they could use towards their 40 hours of community service requirement, to go and help these seniors with tasks that they are unable to do like raking the leaves or shovelling snow doing small repairs around their homes and apartments (i.e. painting, hanging pictures etc.) In the long term I would like to see Council contact the Ministry of Transportation in regards to removing the Highway 89 designation off of Victoria Street and moving it to the Parkway (Industrial Road). We also need to find a way to create truck bypasses in both Tottenham and Beeton to remove the Transport Trucks off of our Main Streets. This would make our main streets much safer for all residents. What are the biggest fiscal challenges in our municipality, and what do you envision as the best way(s) to address them? The biggest fiscal challenge to the community is repairing our roads some of our roads need major work to bring them up to code and obtaining a new Town Hall that will be adequate to meet the needs of this community but avoids the unnecessary bells and whistles. What innovative projects would enhance life in this area? I would like to see more major music and theatre productions brought to our town. This will help boost the tourism dollars spent here. We have lots of land to hold open air concerts and we have the facilities to host major theatre productions in our town. What is your perspective on the best way to collaborate with other levels of government to ensure a sustainable and prosperous future for our area? We must fight strongly against any take over by the county of our Water and Wastewater, our Pipeline is exactly that it’s ours not the Counties’. We also must have open and frank discussions with Collingwood in regards to the amount of water received from Collingwood ensuring we can complete the hookup to Tottenham and Green Briar and other parties that may come forth wishing to be hooked up to the pipeline. How do you envision communicating with constituents? I will meet with anyone who wishes to have a discussion with me. I will continue to keep the residents of my Ward and the Town informed during disasters or emergencies no matter the time of day or night as I currently do now on my Facebook News Page and Twitter. I will always answer my phone or quickly return calls when I am unable to answer. I will make a promise that if I am asked a question that I can’t answer I will have an answer within two days or less or I will put you in touch with the right person to help you out. What will you do to continue to be involved with the community should you not win? I will continue to help the residents in my building and others in the community with repairing their computers for free, changing light bulbs and other tasks in their apartments, carrying their groceries in from their car or cab. Taking them to the store, doctor’s appointments or hospital when needed. Being a single dad of two children and one stepson I haven’t had much time to lend a hand in volunteering for the community but now that they are old enough to care for themselves, I will try and get involved in helping community organizations like the Alliston Out of The Cold Program. Town of Residence: I started working for the Town of New Tecumseth in 2006 and moved here immediately. I moved to the Green Briar community in 2014. With 30 years municipal government experience at the senior staff level in Administration, Communications and Economic Development, I have lived and worked in both North York and the City Toronto. Primary reason you’re running: My decision run for Council didn’t solidify until earlier this summer but the germ of the idea began late last winter over the issue of Briar Hill and Green Briar connecting to the town water supply now that the infrastructure is in place. There were so many false rumours and lots of misinformation circulating, it was obvious that the Town needed to take a leadership role in setting the stage for frank and honest dialogue with both communities. As the president of my condominium corporation, I took part in early meetings with my fellow board presidents but it soon became clear that nothing would be accomplished without information from town staff and from the residential service organizations (RSOs) applying for the connection. People were so distressed that some condo corporations decided to retain legal counsel and incur sizeable expenses to the homeowners, something that would have been unnecessary with proactive leadership from the Town. Finally, I contacted the Mayor myself as well the RSOs and a meeting with the community was finally arranged. The town did not attend but the representatives from the RSOs did a great job in addressing residents’ concerns and answering questions. I felt that the Town totally missed the boat by not leading the discussion or helping to make residents feel safe and protected. Notwithstanding the other concerns I have, it was this issue that made feel as though I should step up to serve the community. Downtown revitalization – with three distinct downtown cores the ongoing challenge to enhance our deteriorating town centres should be met head on. Vibrant downtowns are key to attracting new investment and creating a place where people want to live and locate their business. Over the past several years, I believe New Tecumseth Council has not made this a priority. The economic development strategy needs to address this specifically with a realistic work plan. Small towns must be somewhere people want to live and to invest in relocating or growing their businesses. For that to happen, we must provide the amenities and infrastructure people are looking for in their communities. In New Tecumseth, we need an indoor pool and year-round aquatics program. We need links to higher education to encourage our young people to reinvest their post-secondary education back into the community. We need to invest in improving roads and work with other levels of government to improve transportation links. We must ensure that the services and amenities needed by seniors are available. New Tecumseth needs to work harder to ensure that residential intensification is occurring in the downtown cores and not in the rural areas of the town. Higher density residential in the cores provides a stimulus for retail businesses and accessible, affordable housing for seniors and singles. What do you cherish most about this community? From the moment I arrived in New Tecumseth, it felt like home to me. Now I can’t imagine living anywhere else. I love the friendliness, the sense of community and wonderful mix of rural and urban that give Alliston, Beeton and Tottenham their character. What type of leader you will be? Decisive. Focused. Collaborative. I like to be action-oriented and would like to see Council list its accomplishments each and every year so that the public is aware of how its money is being spent. What are your priorities for change in our municipality, in the short term. What about in the long term? I think Council made a huge error with the new administrative centre. $15 million for an office is equal to 15 years of road works, half the cost of a pool, ¾ the cost of a community centre for Beeton…I know better than anyone how bad the current building is to work in. No argument that an alternative is required as quickly as possible, but I feel other, more cost-effective solutions should be explored. It seems to me that in the 6 or so years since I worked for the Town, Council has become less collaborative with the public. There are very few citizen committees now and very few opportunities for public input. Council appears to have become a rubber stamp for staff recommendations. A new strategic plan together with an action plan over the term of Council is urgently required and a plan for better communication with the public in general. What are the biggest fiscal challenges in our municipality, and what do you envision as the best way(s) to address them? With $73 million in debt and ever dwindling reserves, New Tecumseth is not in a good position to face a major emergency or an economic crisis. With deteriorating roads infrastructure, the need to get water to Tottenham and a big wish list for future amenities, Council needs a sound financial plan that would include cost cutting measures and examine various measures to build up reserves. It is disheartening to note that over the last term of Council the cost to run the Town has gone from $24.4 million to $31.6 million, an increase of 29.5% in just 4 years. Of that, Administration costs (or corporate program support, as they call it) has increased by over 62%. That certainly needs to be addressed. I’d also be in favour of cutting the size of Council for the next municipal term. What innovative projects would enhance life in this area? I am very interested in finding creative solutions to problems facing the town. I am intrigued by the pilot program undertaken by the Town of Innisfil partnering with Uber to provide cost effective transit to their residents to key locations in their Town. Under their plan, residents can travel from anywhere in Innisfil to Town Hall for just $5. This is just an example of a program that could enhance the lives of people in this town. I believe there are creative solutions right under our noses. We just need to take the time to look. What is your perspective on the best way to collaborate with other levels of government to ensure a sustainable and prosperous future for our area? I’m all for working with the South Simcoe municipalities on common issues such as tourism and economic development and growth-related issues. New Tecumseth should provide input to the County and the Province on planning and major transportation infrastructure as well. How do you envision communicating with constituents? Communication with constituents is really important to me. A biannual newsletter just doesn’t cut. I’d like to see more interaction with the public on the important issues and decisions. I plan to hold monthly constituency meetings in Ward 4 to meet with residents face to face to answer questions and address specific concerns. I will also be developing an email blast database for those who are interested to alert residents to important issues coming before Council. What will you do to continue to be involved with the community should you not win? I will continue to live and love every minute of living in New Tecumseth.